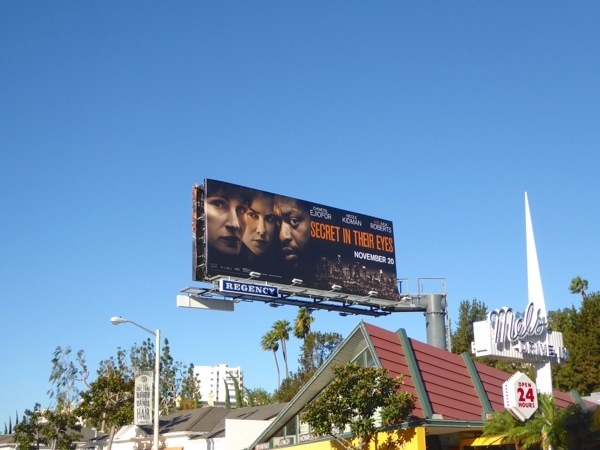 If you're not one of the many people watching The Hunger Games final installment this weekend, then maybe you'll be trying Hollywood's latest movie remake, the crime thriller Secret in their Eyes. 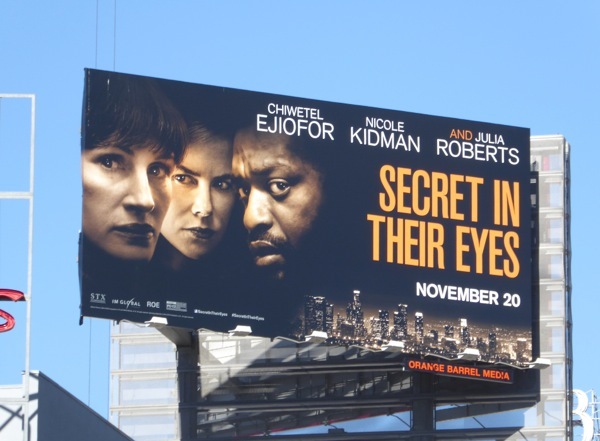 The movie is based on the Eduardo Sacheri's 2005 novel and the previously adapted 2009 Argentinian film which won the Academy Award for Best Foreign Language Film, plus features an all-star cast of Nicole Kidman, Chiwetel Ejiofor and a grim and gritty Julia Roberts out for revenge for her murdered daughter. 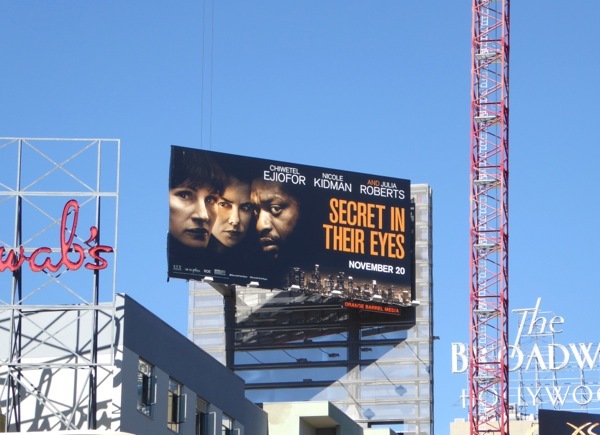 This Secret in their Eyes billboard was first spied along West Hollywood's Sunset Strip on October 29, then later high above Vine Street in Hollywood on November 17, 2015. 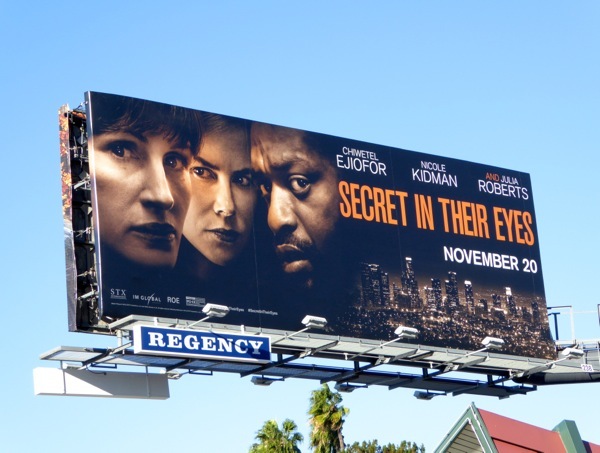 For once the familiar trope of a close up of the actors faces for the ad creative seems appropriate given the title of the film. 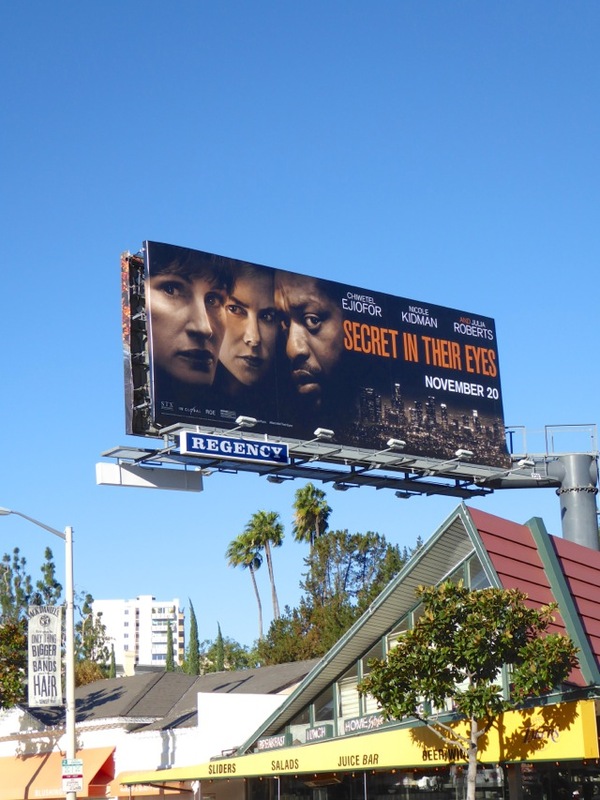 Can this big screen outing recapture the intensity and acclaim of the original movie, or is this another case of an unnecessary cinematic remake.